Host of the 2002 Winter Olympics, Salt Lake City is not just a winter destination, and Just Fly Business can help plan luxury holidays to Salt Lake City whatever time of year you would like to visit. Whether travelling for business or leisure, your personal consultant will find you the best deal, while building long lasting relationships with you or your company. 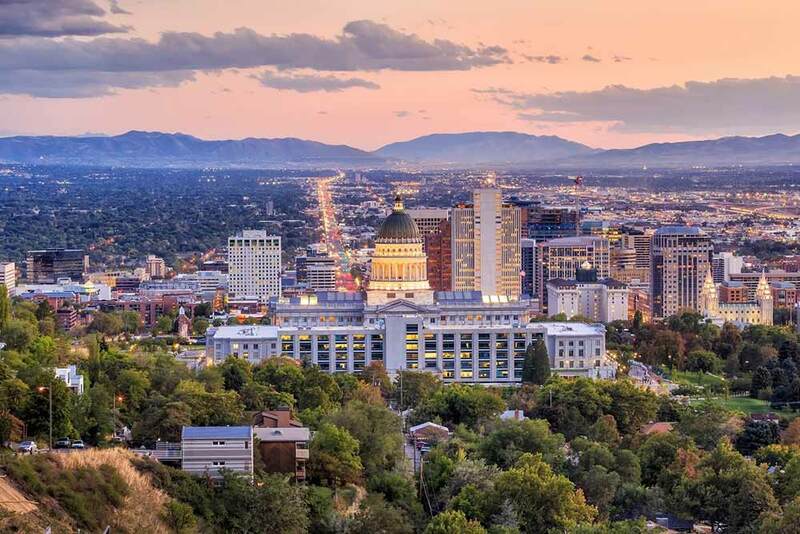 Our dedicated team of specialists have amazing options on business class flights to Salt Lake City, can recommend fantastic accommodation, transfers, car hire, and airport parking. We will tailor an itinerary specific to your needs making planning your trip easy and hassle-free. 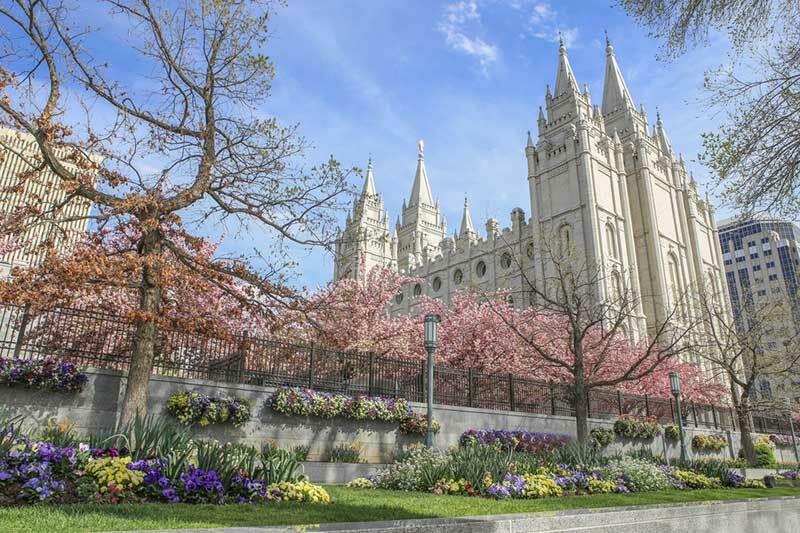 The capitol city of Utah, Salt Lake City was originally the site where the Church of the Latter-Day Saints set down roots as they headed 1,300 miles west across the country. Today, the Mormon religion still calls the city home, with the centre of the church based in Temple Square. With 10 acres of shady trees and flowerbeds, the square houses several outstanding buildings devoted to the religion. The Salt Lake Temple, Assembly Hall, Mormon Tabernacle, and Joseph Smith Memorial Building all exhibit stunning architectural traits, while the Beehive House in the southeast corner displays the historical value of the area as Bingham Young’s residence when he governed the state and lead the church. State street to the east of the square is a straight line rising up the hill all the way to the Capitol Building. The walk up to the classic, domed building takes visitors through the Marmalade Historic District, filled with picturesque houses over-looking the city. Insider’s Tip: Around Temple Square also forms the cultural heart of the city, so if it’s museums, galleries, symphonies, or choirs you enjoy, there is always something to see here. A performance by the choir in the Tabernacle is inspiring even for atheists! Spread over 80 acres, Liberty Park is a respite from the city for locals and tourists alike. Crossed with shady paths and cycle routes, there is a variety of birdlife surrounding the lake, and picnic areas, playgrounds, rides, and sport facilities keep young and old entertained. Take a stroll through the greenhouse showcasing indigenous flora from the region, or take some time to wander through Tracy Aviary, with everything from American eagles to Chilean Flamingos and everything in-between. Flights to Salt Lake City are especially popular in winter when the surrounding mountains hold a plethora of winter sport options. With Snowbird snowboarding area and Alto skiing area on the west of the range in Little Cottonwood Canyon offering enthusiasts spectacular powder, less than an hour drive from the city centre. The areas are much more traditional than others and only allow the respective styles at each. 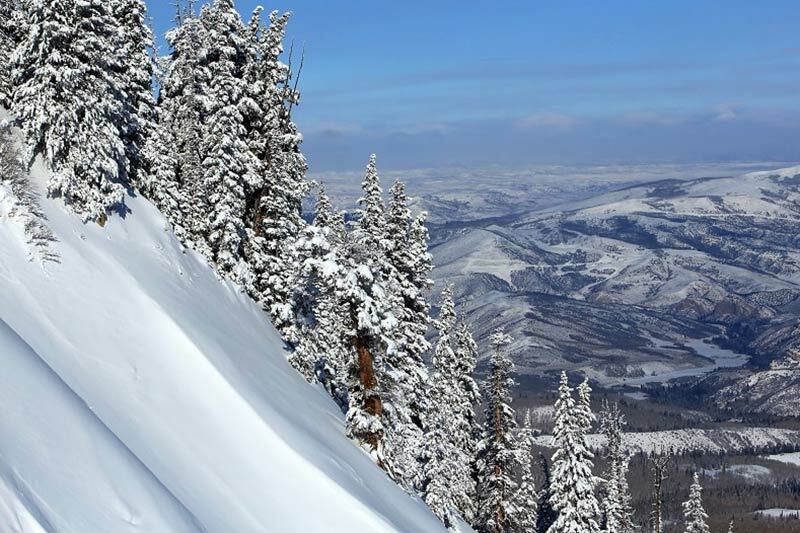 The east side of the Wasatch Mountains has the more famous Park City and Deer Valley areas. Used during the Winter Olympics, the runs are well groomed and cater for beginners to experts with fantastic facilities both on and off the slopes. With over 500 inches of snow a year, this is the perfect place to celebrate the new year! Winter isn’t the only time to enjoy these areas though, with summer bringing beautiful mountain trails, high altitude lakes, excellent fishing, and even adventure activities such as mountain biking and zip lining. Nestled at the north end of Park City, the Utah Olympic Park has been repurposed into a hive of activity since hosting the 2002 Winter Olympic. Now a family activity centre during the summer months where visitors can tackle aerial courses, climbing walls, zip lining, tobogganing, tubing, and the “Summer Comet Bobsled”; there is also guided tours, a museum, and freestyle shows that depict the talent and atmosphere of the games. During the winter months bobsled hurtles down the track at over 80 miles an hour in the capable hands of a qualified pilot, so all you have to do is hold on and experience the thrill of this high adrenaline sport. Located in the redeveloped City Creek area and opposite the Salt Palace Convention Center, the Salt Lake Marriott at City Creek is the perfect place for your needs after your business flights to Salt Lake City. 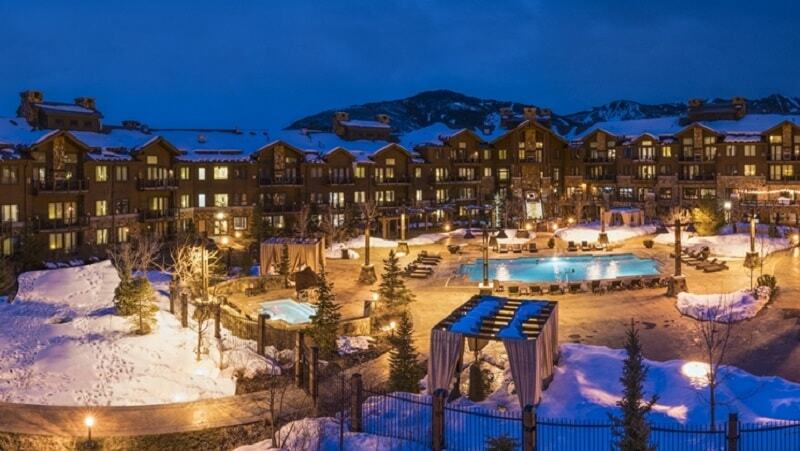 For events that don’t require you to be in the city centre, the Waldorf Astoria Park City is the perfect place in both summer and winter to blend business and pleasure. Surrounded by stunning natural landscapes, the state of Utah is famous for its diverse range of landmarks. 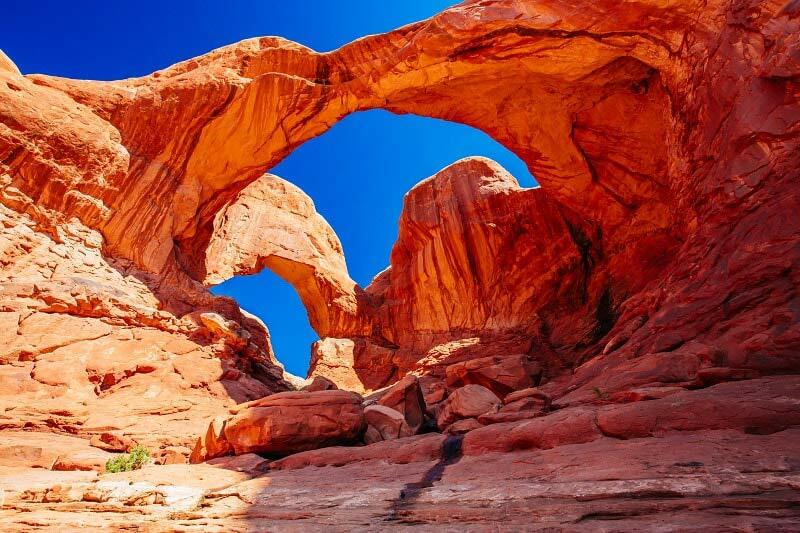 Within a day’s drive, visitors can experience Arches National Park to the southeast, and Bryce Canyon National Park and Zion National Park to the south; all of which can be included on a self-drive itinerary that includes Las Vegas, the Grand Canyon, and even Phoenix. Extending the road trip to the west benefits those looking to include California, with San Francisco and the famous Highway 1 to Los Angeles an excellent family holiday! Alternatively, mountain and scenery enthusiasts will benefit from heading north to Yellowstone National Park and the famous geyser, Old Faithful.